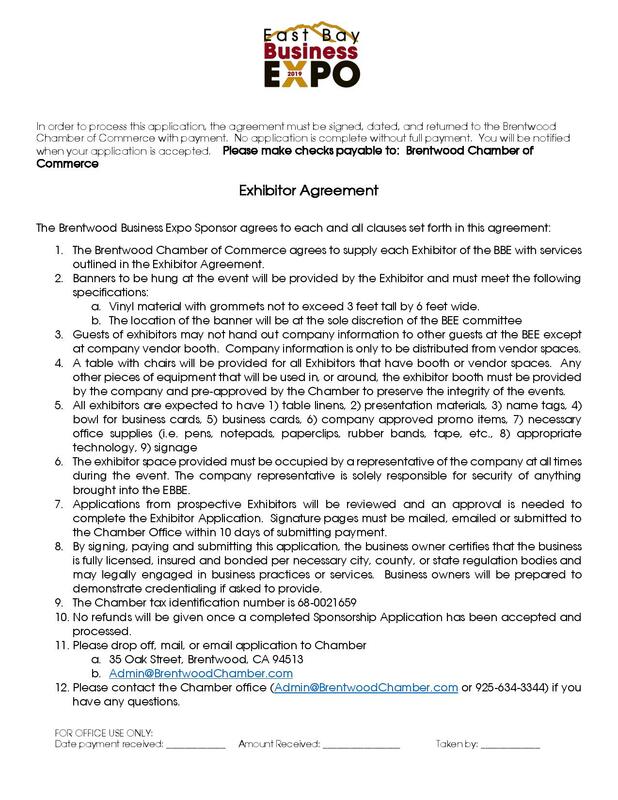 The registration for both Exhibitors and Sponsors for the Inaugural Business-to-Business EXPO requires several steps. 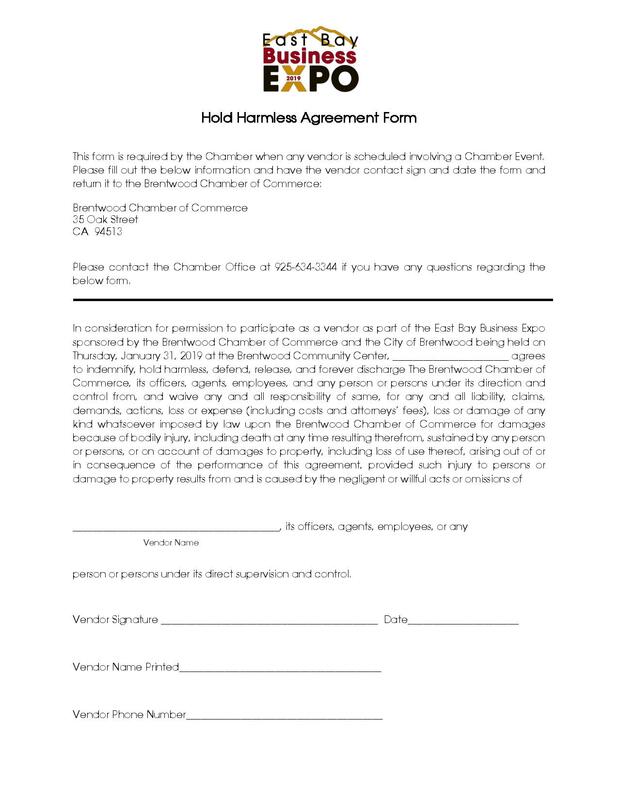 Please follow outlined steps closely or call the Chamber directly for assistance. Click on the “Register” Link below. Complete the registration forms fully. Be sure you SIGN the documents. Only complete application packets will be processed. 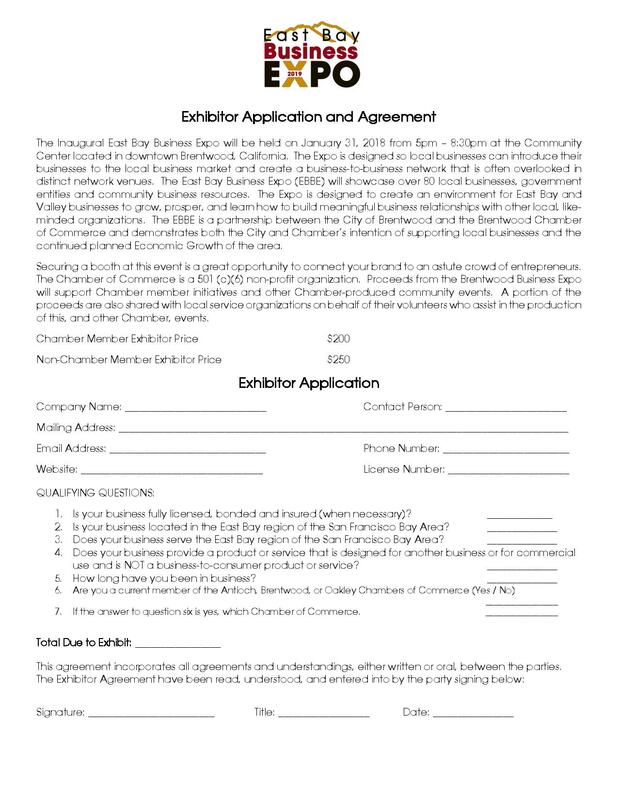 This is a TWO-PART application, that includes the Exhibitor or Sponsorship Packet AND the Hold Harmless document. Antioch & Oakley Chamber Members call your Chamber office for promo code. 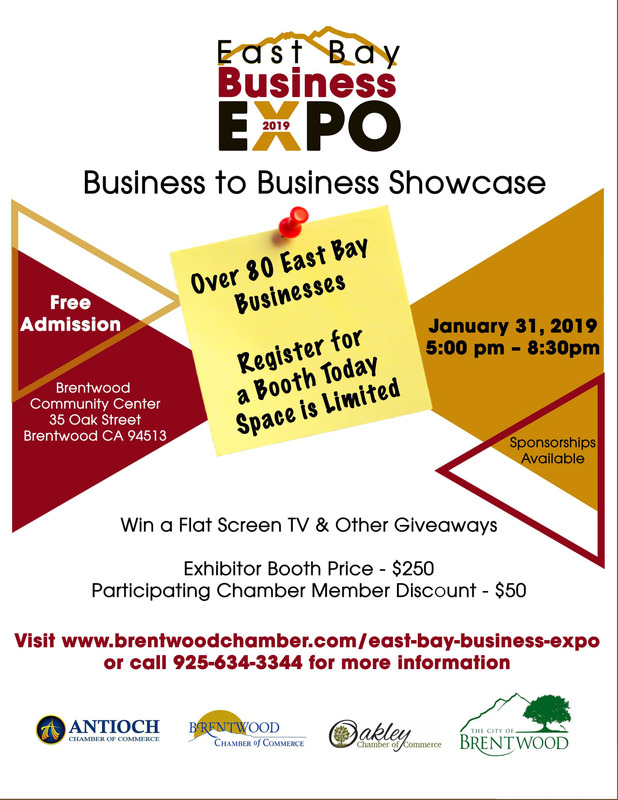 Brentwood Chamber member discount of $50 is available. 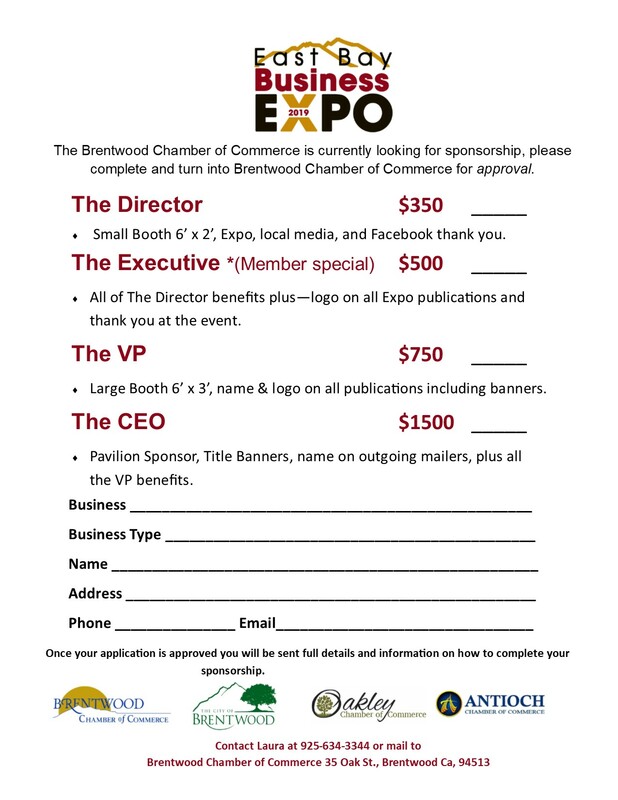 Brentwood Chamber Members log in to your ChamberMaster Account. Booth Registration - Click on the link below.